Seek partners. Enlist the help of like-minded groups working to make events more eco-friendly. One of my favorites is Global Inheritance, a nonprofit organization that develops creative, cause-based campaigns to educate individuals about issues that affect us globally — like climate change. 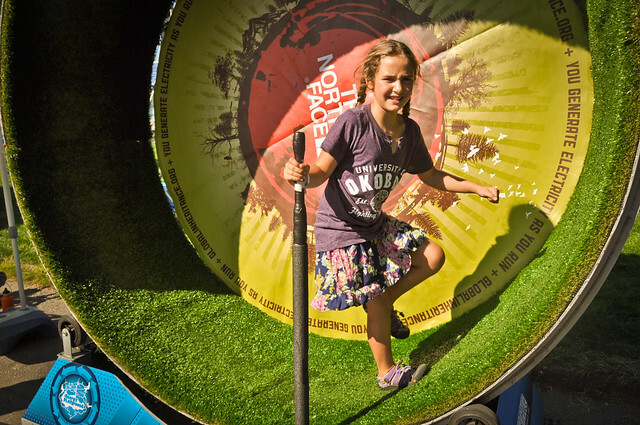 Their Energy Playground, made up of bikes, see-saws, “hamster wheels,” and more, channels the energy of game attendees to power things like phones, snow cone making machines, or even the event itself. These activities also make great photo ops, which help draw more attention to not only your event, but the importance of being green. Use eco-friendly materials and vendors. The fact is, sometimes you just need what you need, or you need something so specific it doesn’t exist. Which means we have to custom design and fabricate it. I commission custom pieces all the time. The trick is to think about the materials your vendor will use. Look for production companies that employ Forest Stewardship Council, or FSC-certified wood. (That means it comes from a sustainable source.) Or buy from vendors in your area to cut down on fuel costs when it comes to transporting your elements. Give quality, not quantity. Take an honest look at your gift bag. And then take out what you know will be thrown out immediately by attendees once they return home. Avoid excessive packaging. And think about creative options for the gift bag itself. I’ve re-purposed yards of fabric used to drape the ceiling for an event to create custom gift bags and other accessories. Avoid excessive packaging. And think about creative options for the gift bag itself. Look around. There are people making really cool, great stuff out of what they see. 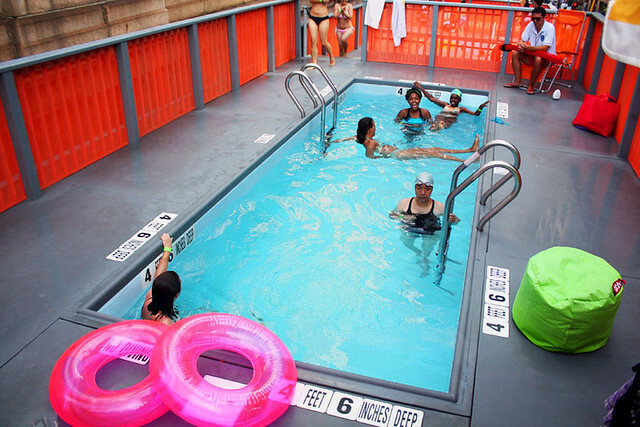 Like turning a shipping container into a pool. Or beer bottles into wine glasses. Or a colander into a light. Perhaps these specific examples aren’t exactly your taste. Or they may not be appropriate for your event or crowd. But you get the idea. Sometimes you can make something more interesting, more appealing, more memorable by creating something out of another thing — AKA up-cycling. And isn’t that ultimately what you want from an event? For it to be a little out of the ordinary, at least a little bit special, for your guests to actually remember it.